Over the past twenty years, I have been a big fan of Brunello. Having spent some days in Montalcino visiting Banfi Vintner’s large estate and castle, I have tons of respect for Italian red blends and the research Banfi has invested in their quest for producing world-class wines. Just twenty-four miles to the east lies the medieval hilltop town of Montepulciano and its lush valleys. The area’s slopes reach between 800 and 1,900 feet. If you are a fan of Under the Tuscan Sun, you will feel at home in this town, as several locations were featured in the film. Locals have their own coveted red blended wine (Vee-no No-bile dee Mawn-tay-pul-cheon-no]. 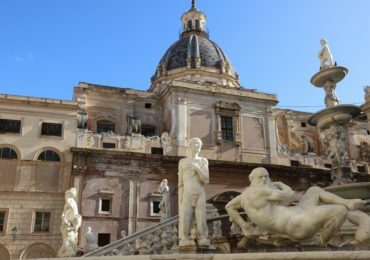 While Vino Nobile di Montepulciano is not as universally known as Brunello, better marketing and increased production is responsible for getting more of this wine into the glasses of wine aficionados today. Vino Nobile di Montepulciano has a rich history; some have found indications that the Etruscans drank wine in the region as early as 789 A.D. The first official documentation for Vino Nobile di Montepulciano dates back to 1,350! This wine gained its name from the noblemen and poets who lovingly drank it. The Vino Nobile di Montepulciano wines and the town of Montepulciano are not to be confused with Montepulciano d’Abruzzo grapes variety, which is grown in Abruzzi near the Adriatic Sea. Last year, Darcy and I had the pleasure of being invited to Montepulciano to be judges at the A Tavola con il Nobile fine food and wine pairing contest. This annual event was founded in 2003 by TG2 television wine reporter Bruno Gambacorta with the Consorzio del Vino Nobile di Montepulciano. Luckily for us, the 2013 theme was Nana (local name for Duck)! 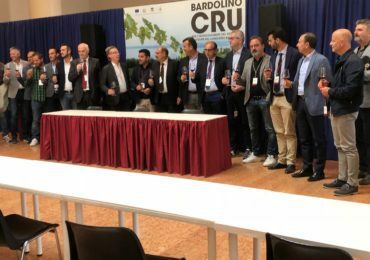 We got to taste this highly respected local vino with eight different duck dishes produced by chefs from the eight districts (Contradas) of Montepulciano over two days. Vino Nobile is a Sangiovese-based blend, made primarily from a clone of Sangiovese called “prugnolo” (which means little prune). Vino Nobile di Montepulciano was given DOCG status in 1980. The wines vary from thin and tart to spicy and bold. Maroon in color, a well-made Vino Nobile is chock full of dark cherry, ripe, rich plum flavors with significant tannins and acidity. While the wines are always aged in oak, winemakers use large neutral barrels for maturation, carefully avoiding over-oaked flavors. When done well, these wines are meant to be laid down/cellared for several years. 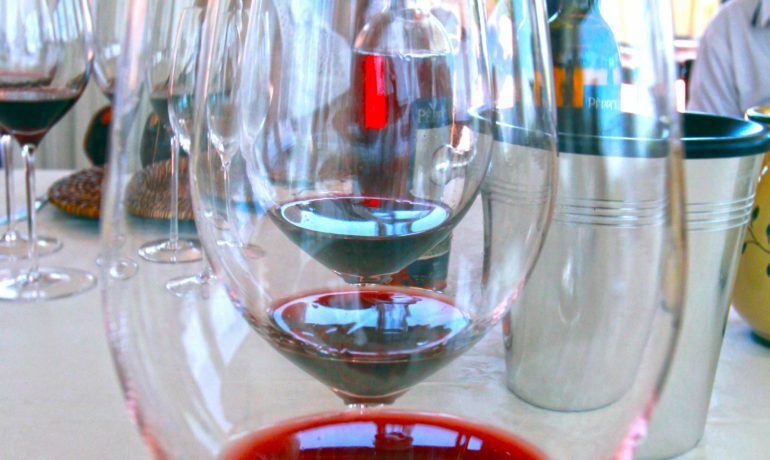 Our tasting panel tasted several dozen wines, but became especially fond of 2007 Vino Nobile. 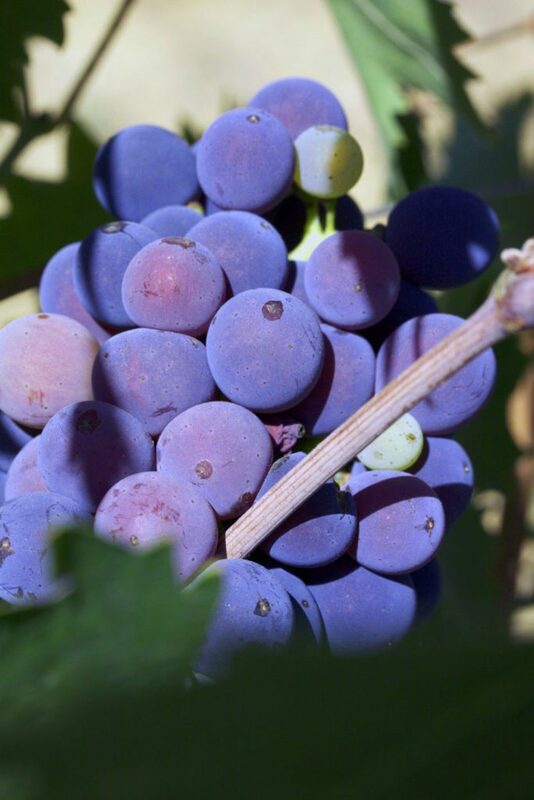 Rosso di Montepulciano is produced usually from grapes grown in young vineyards. Producers can sell one year after the harvest. It is a modern, fresh and easy-to-drink wine. Drink also by the glass. Vino Nobile is typically made from older vineyards. Producers can sell three years after the harvest with a minimum of 12 months in bottle. “Riserva” wines are more concentrated with more body. Riservas are aged for a minimum of four years before released with a minimum of twelve months in oak barrels and six months in the bottle. This results in a higher bottle price. Locals enjoy these wines for special occasions. A friendly and immaculate family-run hotel located near the edge of Montepulciano. Named for the Renaissance-era Basilica San Biagio, visible in the distance just below the town. They serve a great breakfast buffet every morning. Exercise equipment and a spacious indoor pool will keep you in shape! You can walk to the walls of the town in about 15 minutes. However, take it easy, as the roads are steep! If you are looking for an upscale, peaceful premium experience, Relais San Bruno Montepulciano is the place! It is conveniently located near the road that leads up to the walls of Montepulciano. Visiting this stunning property parallels visiting an exclusive countryside estate. They offer well-appointed rooms and suites, many of which view the adjacent Basilica San Biagio. Amenities include a beautiful outdoor pool and outdoor Fitness and Harmony area. Located eight km southwest of Montepulciano, Dionora offers a secluded estate setting. This small inn has superior quality Tuscan accommodations loaded with details and exquisite finishes. The views from the Inn and its stunning outdoor infinity pool include lush vineyards, rolling hills, forests and walled hilltop towns (Montepulciano and Pienza). Dionora has a rich history of farming dating back to 900! They produced wine, olive oil, and various crops, but activity gradually ceased over time. In 2004, new owners took the property back to its farming roots and today produce Extra Virgin Olive Oil and Vino Nobile di Montepulciano DOCG and Rosso di Montepulciano DOC wines. Imagine a 19th century estate surrounded by vineyards, olive groves, and rolling hills. The estate’s patio offers spectacular views of Monticchiello, the medieval village in the heart of the Val d’Orcia. Terra di Nano is just a twenty-minute drive from Montepulciano, near the border of the Vino di Nobile designated vineyard area. The estate has numerous apartments, accommodating anywhere from two to eight people. A small restaurant provides terrific home-cooked breakfast, lunch, and dinner. Ever wonder how to make pici pasta? Giorgio the Chef and General Manager offer personalized cooking lessons. The quaint town of Pienza is nearby and worth a visit.